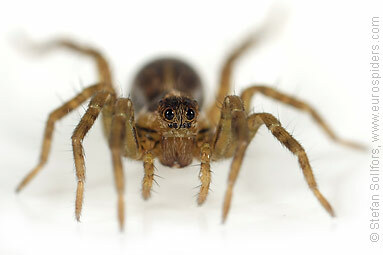 Young female Pardosa agrestis, head-on view. 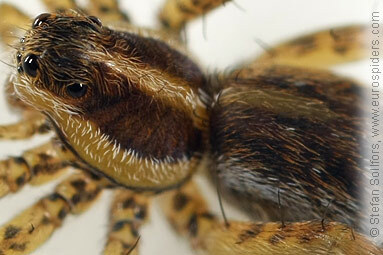 Close-up of the head of a young female Pardosa agrestis. Young female Pardosa agrestis rom below. Note dhe distinctive pattern on the sternum. 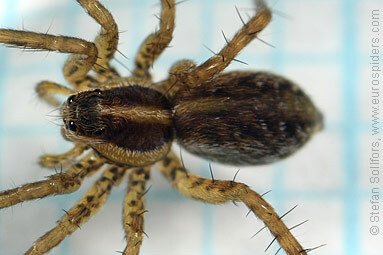 Young female Pardosa agrestis, just above 3,5 mm. 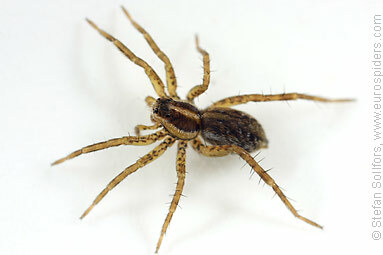 The wolf spider Pardosa agrestis. 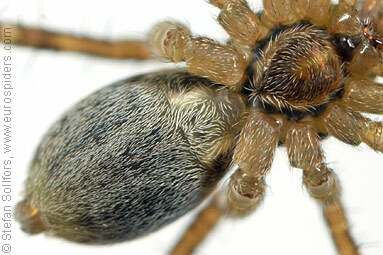 Note its pattern on the sternum.